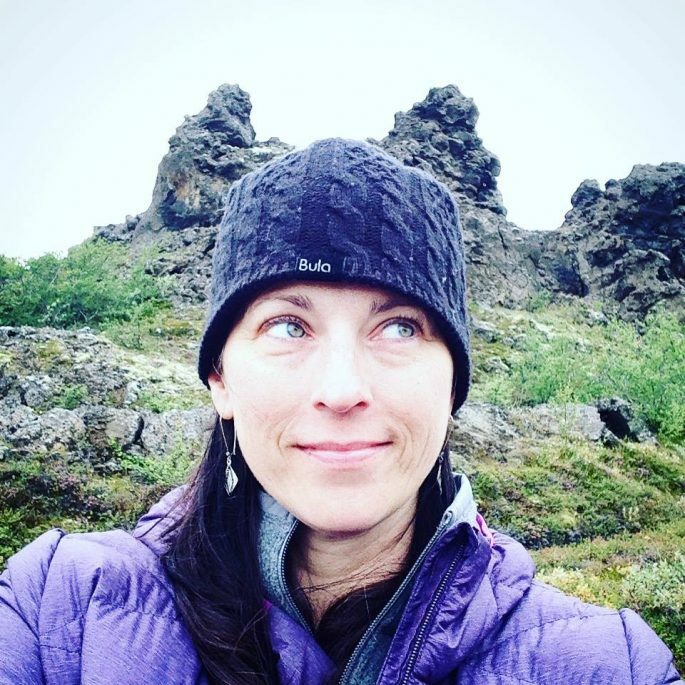 One of my best friends in the world, has just returned from the trip of a lifetime to Iceland. I’ve been to Iceland before and I would go again in a heartbeat. There’s no two ways about it, the Icelandic scenery is legendary, unparalleled and absolutely stunning. 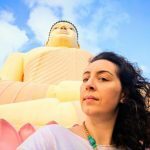 So when one of my favourite people in the world, Andrea Mueller (she’s the founder of Short & Sweet Cookie Co which is partly why I like her so much: she feeds me endless cookies), went to one of my favourite destinations in the world it seemed like a great idea to pick her brains for some highlights to share with you. 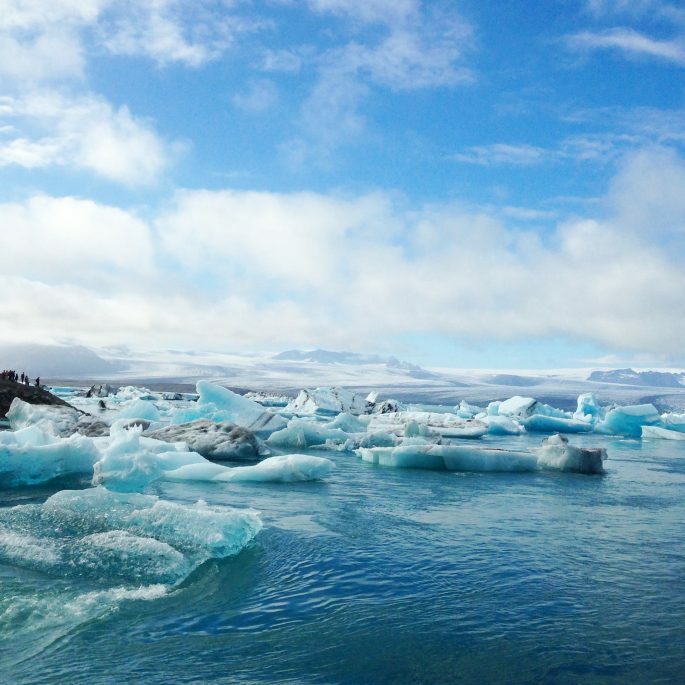 Unlike many tourists to Iceland Andrea didn’t stick to the Reykjavik area, nor did she just experience the Golden Circle tour – she was lucky enough to explore the whole country. 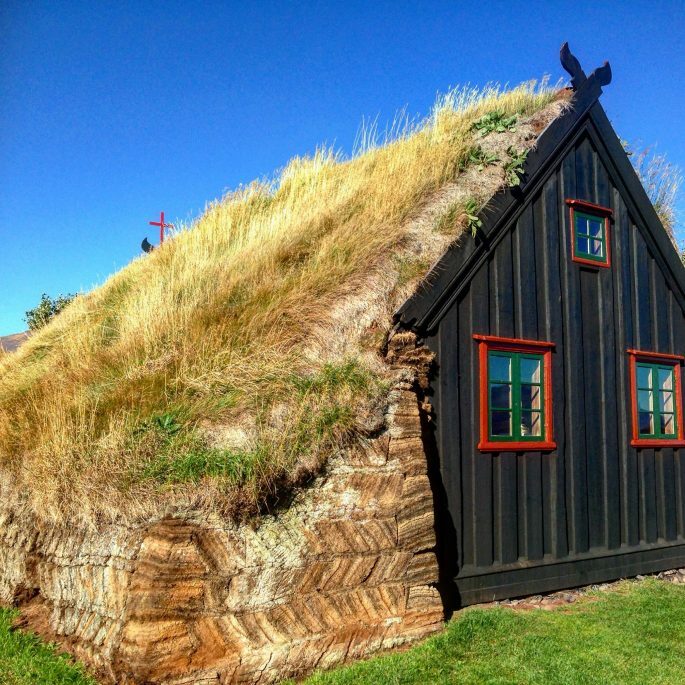 This mainly outdoor museum in the south of Iceland exhibits sod farm houses and out-buildings from various farms in the region. You can wander through the buildings and get a feel for what it would have been like to live in one, which is pretty fascinating. The museum is also near the beautiful Skogafoss waterfall so it is easy to combine a visit to the two attractions. For me, the highlight of a visit to the Reynisfjall sea cliffs were the incredible sea stacks – and experiencing just how windy and wild the coast of Iceland can be. The coastline is super dramatic, so much so that many people have been swept out by rogue waves so there’s a real element of danger. In fact it feels like a landscape straight out of a fantasy movie or Game of Thrones. There are also plenty of nesting sea birds and puffins in the area making it great for nature fans and bird watchers. Not an actual church or church floor at all – in fact they are the tops of basalt columns, 100% created by nature and forming the effect of tiles – it’s called church floor because it was assumed that this was all that was left of an ancient church, until someone realised that the entire thing was not man made at all but fashioned by the elements. 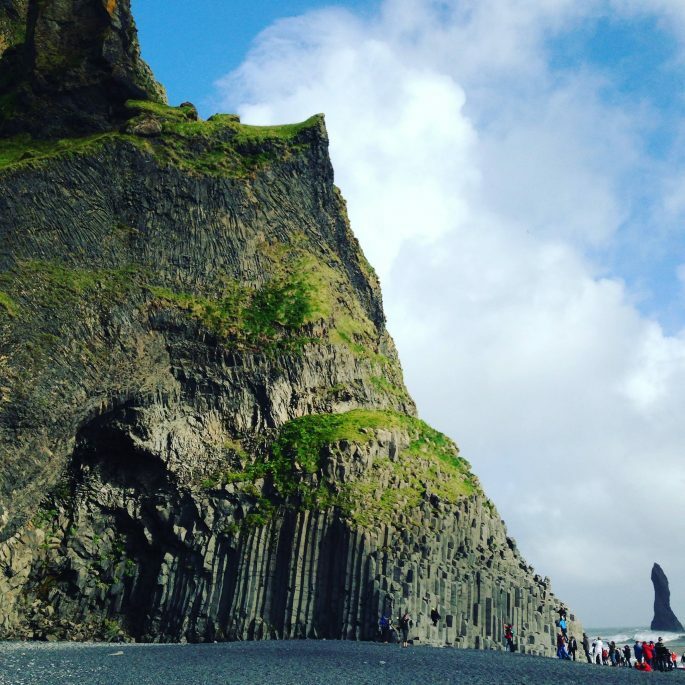 Another of Iceland’s geological marvels; these are also basalt columns but ones you can climb and jump around on so they’re a bit more interactive and fun for families. 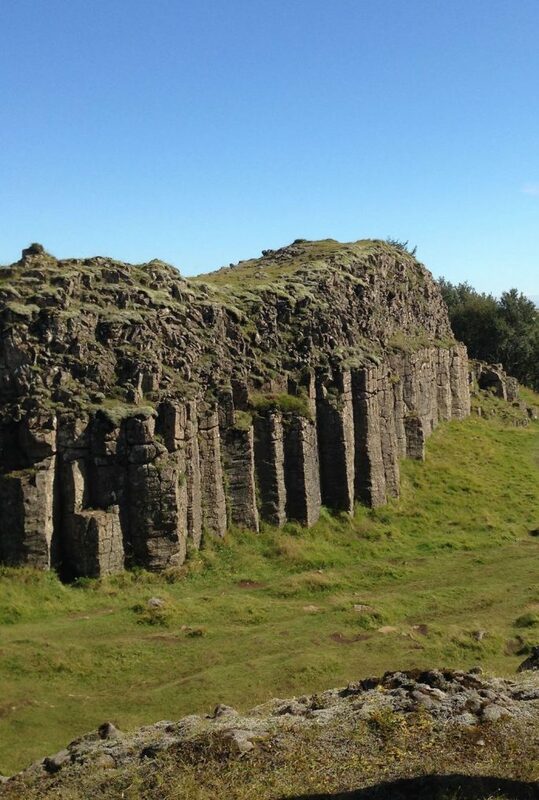 Dverghamrar is a protected national monument in Iceland that dates back to the Ice Age. A super deep lake off one of Europe’s largest glaciers which has giant pieces of ice calving and falling off it on a daily basis and drifting down to the Atlantic. Blue isn’t even the right word to describe the colour palette; this a completely other-wordly location and nothing can prepare you for the noise of an iceberg falling off another iceberg into the water: it sounds just like a shotgun firing. The pictures I took here were some of the best from my whole trip and I can see why Iceland glacier tours are one of the most popular organised tours for those taking a trip to Iceland without a hire car. 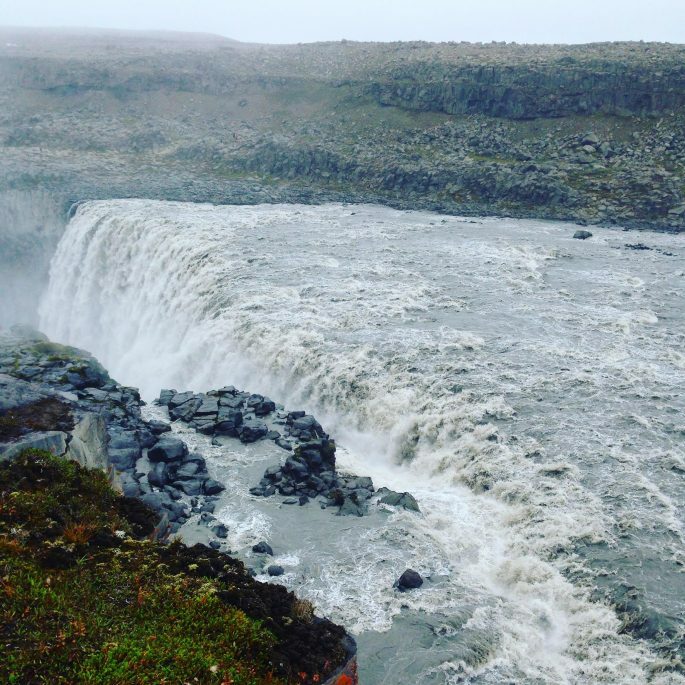 Europe’s most powerful waterfall is so misty and rugged, and unlike much of Iceland the landscape here isn’t lush and green at all, it’s very rocky and reminiscent of the surface of the moon. Standing close to it you can fully feel the power of that water. In short this is a smaller but more natural version of the famous Blue Lagoon, though generally the waters are not as hot (unless you find the intake water pipe like I did!) they are definitely not as busy. 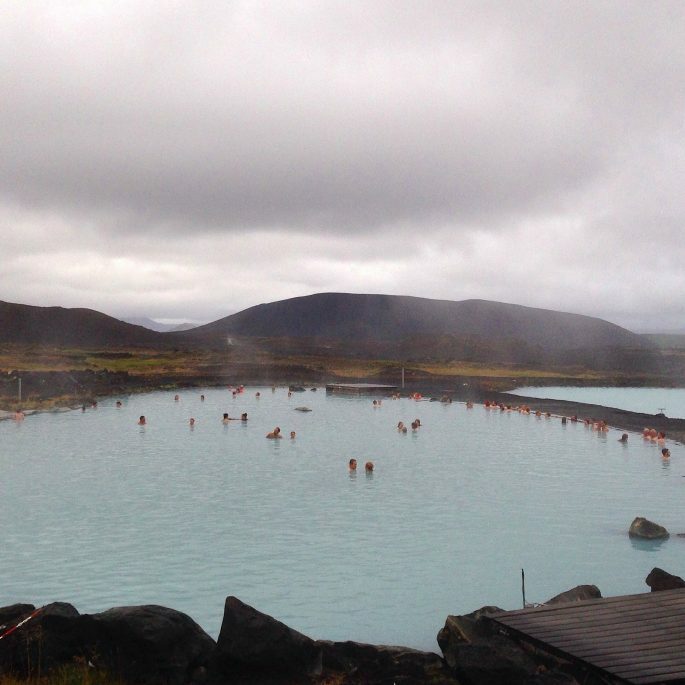 This pool at Myvatn has far more scenic surroundings with a gorgeous view and as an added bonus the onsite restaurant food is really good, serving better food than the cafe at the Blue Lagoon. 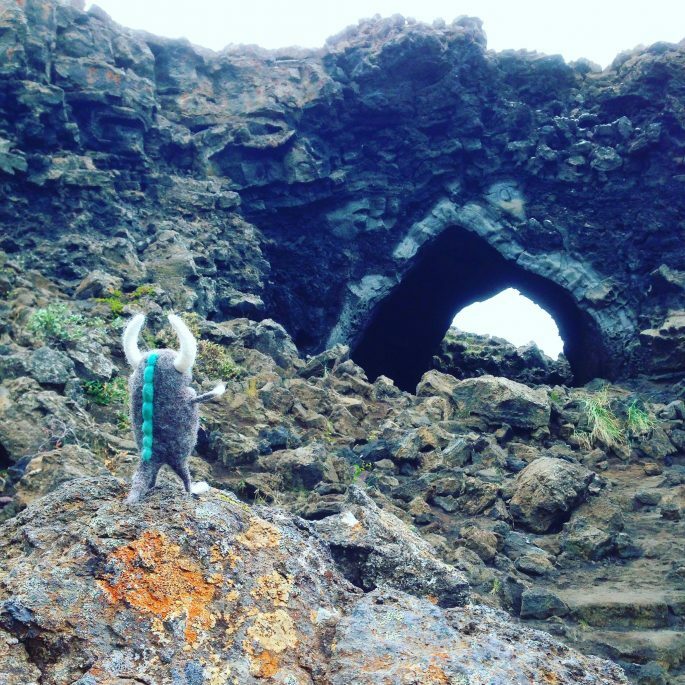 Dimmuborgir lava field was one of the coolest things I saw on my entire trip to Iceland. 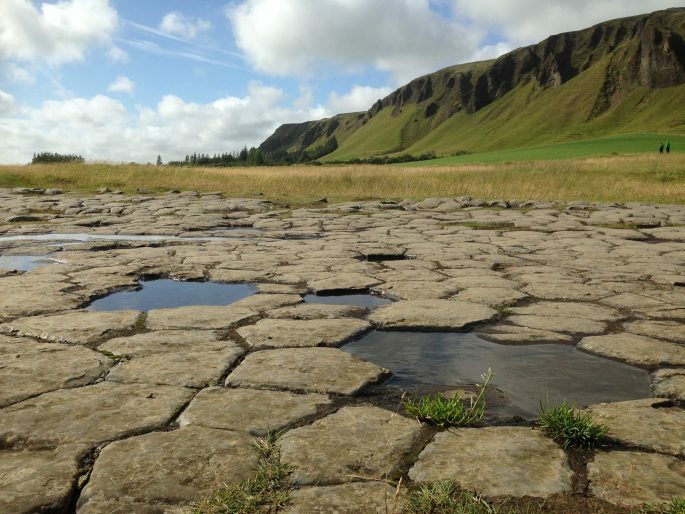 These natural lava arches were formed from a large scale lava eruption 2300 years ago which left all sorts of unusual lava formations throughout the lava field, so it is easy to see why as natural attractions go this is one of Iceland’s biggest draws. I didn’t visit at Christmas so instead here’s a picture of me wondering whether I’d get a yule gift – or a potato! One of the most fascinating aspects of Iceland’s culture is its unique selection of legends and folklore. 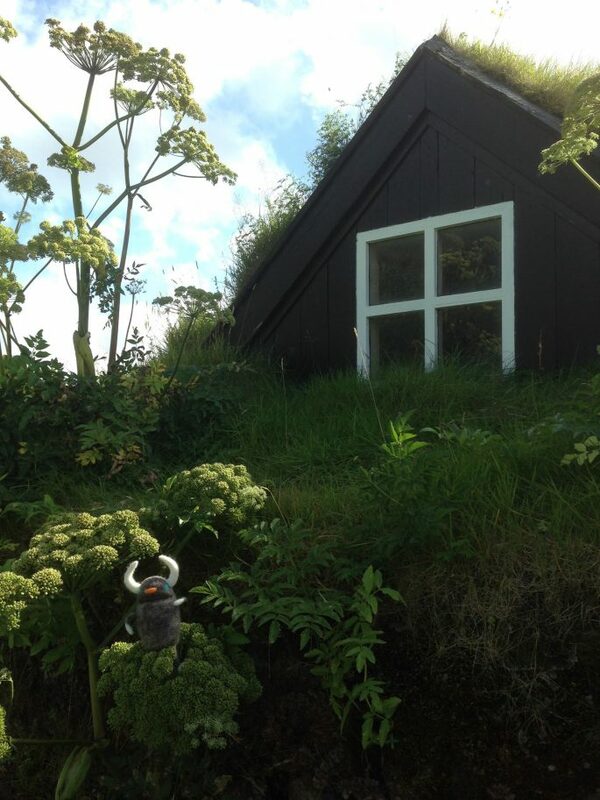 There are constant references to trolls and other mythical figures at many of the locations you visit on a trip to Iceland and they even have a very special Icelandic answer to Santa Claus called the “yule lads”. The group of 13 characters leave Xmas gifts for well-behaved children in shoes placed on window ledges – and substitute rotten potatoes for naught little ones who didn’t do as they were told! A very old turf church with an ancient older alter inside. The design is super simple for a church; primitive and understated with natural materials such as wood in place of ornate gilded items you might find in a Catholic church. Along with its small graveyard this was typical of the simple style of the earlier Icelandic people – stoic and understated and not showy at all, but bowing down to the superiority of the nature which surrounded them.